Here in Shulandia, we plod on taking joy even in the minutest difference in the shus of this earth. 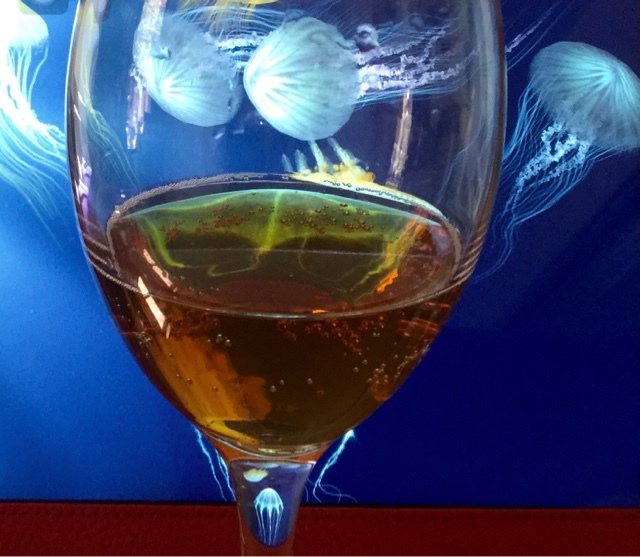 While some might think life is too short to drink shu, I'm in the camp that life is too long not to drink shu. I still have quite a few random unopened beengs waiting to underwhelm me and I finally gave this 2010 Douji Phoenix Tour a whirl. 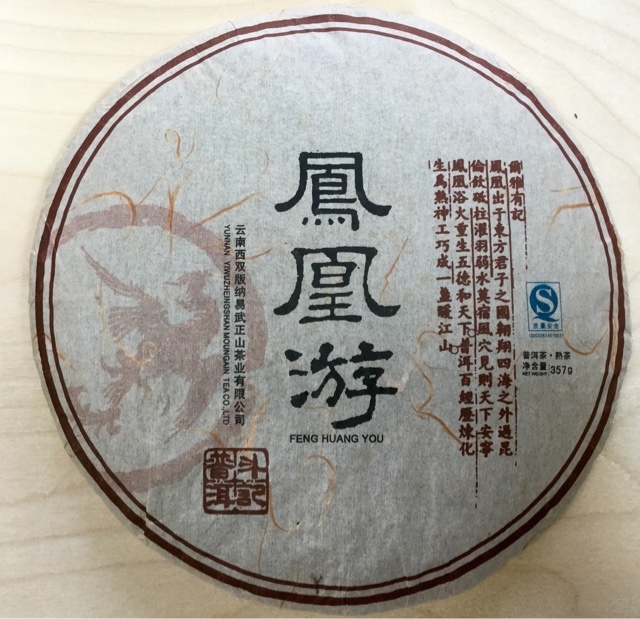 Douji's foray into shu must not have been a wild success as the Feng Huang You(Phoenix Tour) beengs boast no tea expo awards of any kind. Douji appear to have had only a brief stint with making shu (2009 to 2013). My records show I bought this beeng for $12.99 now to be had for $74.99 from the same vendor making it my best investment from 2012. After the buckets of ducats I lost last week in the market crash, it's half an ounce of comfort. 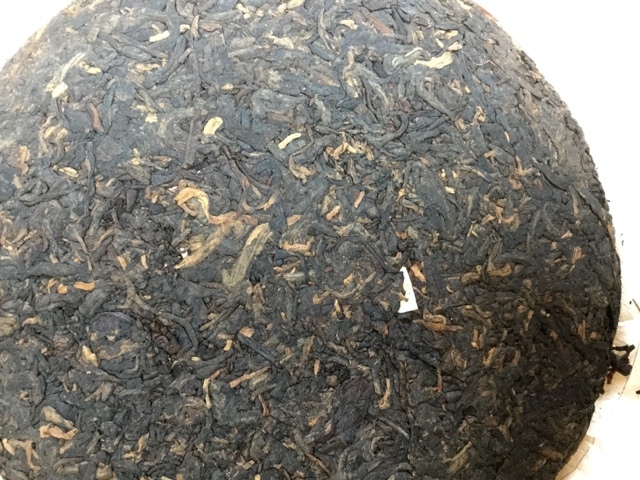 The beeng itself isn't the highest quality of leaf with a smattering of token golden buds on top. As with most Douji beengs, the compression is loose and the edges are starting to fray already. I can't imagine they bothered with stone pressing shu and the pneumatic presser was probably adjusted. The scent of the brewed leaves was a tad more enticing and softly sweet than the actual brewed tea. I've already forgotten the particulars as it left such a non-impression. When I can't get into a tea, I aways do a test brew alongside with a tea I know well so I know my tastebuds are not at fault. 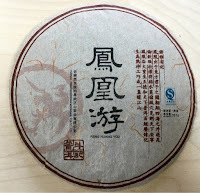 With shu, I normally brew up either the '06 Menghais or the YS 2009 Cha Tou Sheng Yun as the comparison. 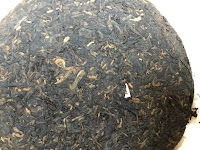 I brewed up the Lao Cha Tou today and immediately the reference tea is leaps more livelier in the mouth leaving a licorice mouthfeel. I regret having torn open that prim pleated Douji wrapping. What to do with such a snoozer of a shu- inoffensive and mild. Shu cola? I mixed it for kicks but even the pep of CO2 cannot revive this genteel tea. 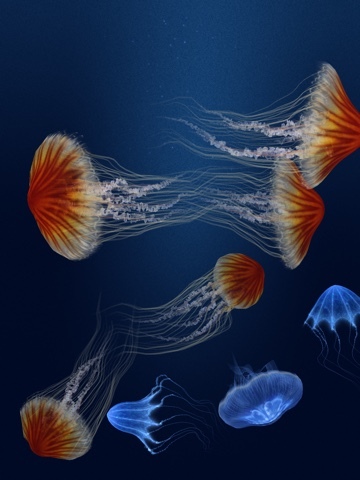 The tea is decent enough to chill out and relax my mind with my current favorite app- a 3D jellyfish simulator. I took a brief break in Los Angeles to visit a dear friend. L.A. for a food loving Korean is a giant candy store. 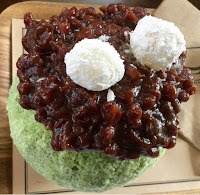 I am particularly fond of a red bean iced treat called ppatbingsu. Koreans enjoy this concoction of shaved ice, red bean, milk and mochi in the heat of summer with friends and family. The serving size is such that one never eats a bowl by oneself and indeed I have never eaten ppatbingsu solo. You can enjoy the usual variations ranging from coffee to roast grain but I had a hankering for matcha this trip. The version above is from Sul and Beans- a chain from Korea producing the most advanced bingsu I have enjoyed. They produce a special milk snow which is rich but so light in the mouth, it's magical. If you can try only one dessert in L.A., go for it. The generous dusting of matcha is good but nothing special- it's a nice food grade matcha. I preferred their injulmi bingsu more which had a unique nuttiness. Injulmi is a roasted grain rice cake and their house specialty. The second matcha version I enjoyed is at Okrumong famous for their red beans which they roast in the old fashion way in giant cast iron pots. They mixed the matcha into the ice so the ice was quite green all the way through and was a tad bitter. 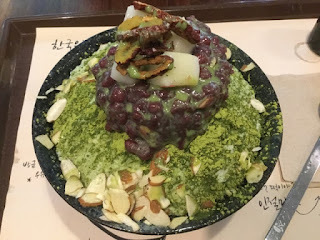 What Okrumong excel in is not ppatbingsu- the ice lumped in the usual way slushies do- but a red bean cake called chapsalltuk. 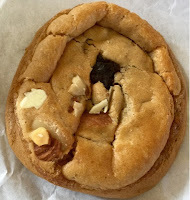 If you are a kpop Big Bang fan, this is the cake they are singing about in Bae Bae. Their version is really the best I've ever enjoyed- it's a novel variation with a breaded cover. The chewiness was perfect and the above photo does not do justice to it's deliciousness. I could eat these all day long and kick myself for only buying 10 of these.